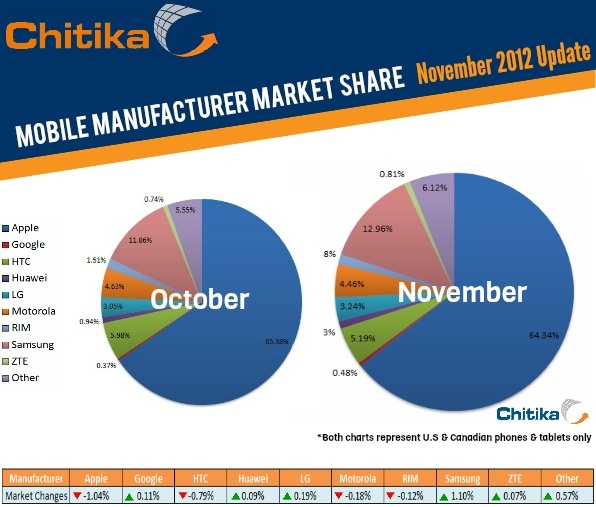 Although, in a recent interview pointing to the mobile device sales numbers, Eric Schmidt said Android is clearly winning the mobile war against Apple, the picture looks different when it comes to the online presence of Android devices (per manufacturer in the US and Canada), as seen through Chitika’s latest studies. Apple is the clear leader in web usage among the top mobile market players, although it has recorded a slight 1.04% drop. Samsung recorded the biggest increase in Web share during last month, with an increase of 1.1%. This was triggered by the success of the Galaxy SIII and Galaxy Note II. Google on the other hand, saw a minor lift in share, driven by the release of its Nexus product line, and Chitika predicts that the success of Google’s new products will push its share up. 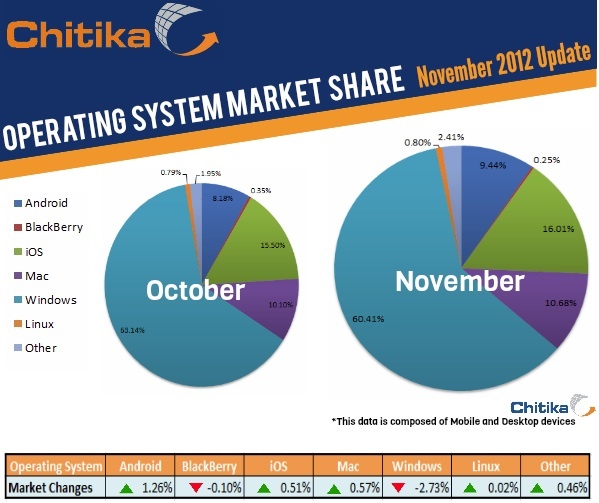 Looking at the operating system market share for November, Chitika found that iOS market share has seen a 0.57% rise in the US and Canada, solidifying its position in the mobile OS market. 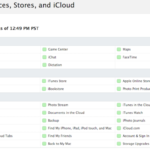 This is most likely driven by the launch of the iPad mini and the fourth generation iPad. Android, however, saw the biggest 1.26% increase, as manufacturers have pushed several successful flagship devices across multiple carriers, while Windows share dropped 2.73%. While Chitika predicts that Windows will strengthen its position in the market, it can’t rival — yet — with the two giants, Android and iOS, who make up most of the web usage.